Mold testing shows the type and quantity of mold present. The primary reason to test for mold is because under certain conditions, indoor mold has the potential to damage property and cause health problems in humans and animals. Not all molds spores are harmful – they fall into the following categories: Allergenic, Hyper- Allergenic and Toxic. Some have called it "The Silent Killer". That may be on the extreme side, but with all the information available about mold and its potential for harm, there are plenty of valid reasons to perform mold testing. For example, we now know that some molds produce toxins which may be linked to severe cases of asthma, respiratory problems which include bleeding lungs, and several other serious ailments including immune system disorders. Medical and legal communities are now taking mold contamination very seriously. With so much overwhelming evidence to support the dangers of exposure to mold, mold testing is the first step in properly assessing whether an abnormal or elevated mold condition exists. Some may tell you that mold is no big deal and mold testing is not necessary. It is interesting to note that those who make such irresponsible statements also disclaim everything they say by warning you to wear a respirator and rubber gloves when cleaning mold. Why? If mold is "no big deal", why bother protecting your lungs and skin from it? The answer is because mold can be a very big deal and the only way to really know for sure is by proper testing for mold. Whenever you hear statements that seem extremely biased to one side of the mold testing issue or the other, be cautious. 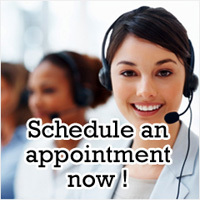 Our advice is to make sure the person testing for mold has no personal interest in how your mold tests come out. The truth is, under certain conditions, mold does have the potential to cause very costly damage to property and poses a serious health threat to humans and animals. However, not all mold problems are catastrophic by default. 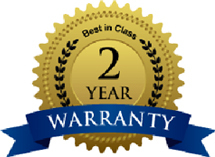 Again, the best way to get an accurate and unbiased assessment of your mold condition is to have proper mold testing done by an independent and certified third party mold inspector. The difference between a minor mold problem and a major problem is: (a)how long before you discover it; and (b)how long you wait to do something about it. 1) Create a baseline for future testing. 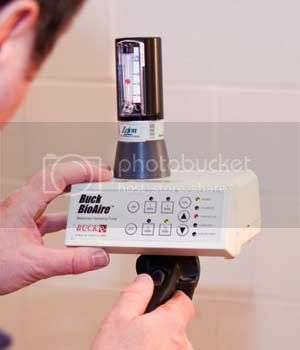 This allows a mold professional to track and evaluate the progress of mold abatement activities. If current levels are unknown, it is difficult to establish that progress has been made. 2) Establish the presence of mold and the justification for remediation. Many remediation and insurance companies will not authorize or undertake mold remediation if the presence of mold growth is not scientifically demonstrated. 3) Set the parameters for remediation. Many remediation companies will not initiate an abatement project without the input of a testing company to define the boundaries of the affected area needing remediation. 4) Identify the types of mold present (i.e., "natural" or "toxic"). In many cases, residents are interested in the types of mold present and the possible relation to medical symptoms they may be experiencing. Certain mold species may cause serious illness in the elderly, infants and people who have weak immune systems due to chemotherapy or AIDS. Testing can assure the indoor environment is free of mold species that may cause infection in vulnerable people. 5) Establish the levels present. Although mold is mold, and its presence calls for remediation, it is useful to know if the ambient airborne levels are in a range of thousands, or hundreds of thousands. For example, this may affect decisions regarding the timeliness of remediation, and the continued occupancy of the premises. 6) Find "hidden mold". Mold growth may often not be visible in a house, but known water intrusion or a moldy odor provides cause for concern. Testing will identify if there is a mold problem, even when there is no visible mold growth. 7) To "clear" a remediation; that is, to show that all mold is gone after remediation. Often, mold remediation will miss a mold-contaminated area. Testing of the air in the contained work area will assure that the levels inside the work area are reduced to ambient levels. This also provides documentation for future real estate transfers that the mold was properly and effectively removed. 8) To confirm the “lack of mold”, as in a home purchase. Sometimes a homebuyer will have concerns about mold when purchasing a new home. This may be as a result of a bad experience with mold in their previous residence. Mold testing can provide the peace of mind that there are no problems with elevated airborne mold in the new residence. 9) Confirm that a flood has not yet created mold growth. Floods in homes and offices can occur due to breaks in plumbing lines, or failure of plumbing fixtures. After drying, it is useful to test for mold to assure occupants that mold has not grown as a result of the flooding. 10) Support a legal case. A lawyer or plaintiff usually needs to have objective evidence of the presence or absence of mold and mold exposure to support a legal action. Testing can show scientifically whether mold was or was not present. 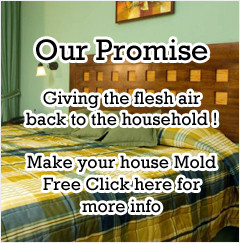 If you suspect you have a mold problem, whether mold is visible or not, one call to PrimeAire Mold Services is all it takes to be sure. Our only interest is in providing our clients with accurate reporting of the data we collect during the course of a comprehensive mold inspection process. 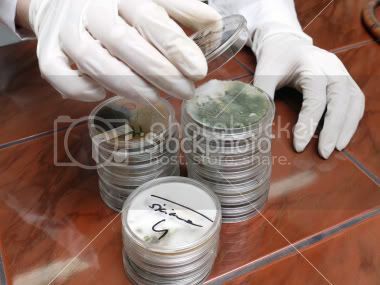 We provide reliable results of mold tests and samples. Long before you can smell or visibly see a mold problem, the water intrusion that caused it is likely to have occurred some considerable time prior to your knowledge. Shower door frames can leak in corners allowing for small amounts of water to escape. During a single shower these leaks are usually insignificant and often go unnoticed. By the time they are noticed it's usually too late. After many showers over the course of weeks, months and even years, the damage is done. This is the same bathroom as pictured above. A significant amount of mold was found under the carpet, behind the baseboards and inside walls. If a shower is located on the first floor, water is likely to work up into the walls and keep spreading throughout the bathroom and sometimes into adjacent rooms. If the shower is on the second floor, water damage and mold growth can spread throughout the floor and into the ceilings and walls below. The only suspicion of hidden mold in this bathroom was a musty odor. The top half of this picture shows no visible evidence of mold growth. Even though the tiles were dry to the touch. Our moisture detection instruments revealed damp conditions behind the tiles. An air sample from this room confirmed the suspicion of indoor mold growth with airborne mold spore levels over 50 times higher than normal. The inside of the wall turned out to be full of mold.